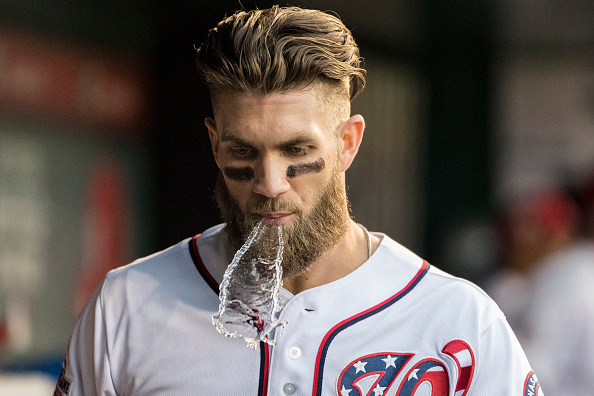 One of the biggest free agents in recent memory has to be Bryce Harper as millions of Baseball wait in anticipation of him choosing his next home and what type of contract he’ll sign. He’ll find a spectacular way to mess with fans about it on Sunday. During Sunday’s AFC Championship game between the Chiefs and Patriots — Tony Romo dazzled fans with ability to predict different plays just before they actually happened. It made for spectacular TV. Following the end of that OT game, the free agent mega-star took to Twitter stating that the former Dallas Cowboys signal caller clearly knows he’ll sign. All jokes aside, PICK A FREAKING TEAM, HARPER! Baseball is right around the corner.